REDDING, Calif. - March 13, 2019 - PRLog -- Dialysis Clinic, Inc. (DCI) staff are hosting a free community event on Friday, March 22, 2019, from 10am – 2pm at the Shasta College Downtown, 1400 Market St., Redding, to educate the public about kidney disease. "So many people who start dialysis are devastated to learn that they have to depend on a machine three days a week, approximately four hours at a time, for the rest of their life in order to live," explained Diane Braithwaite, DCI Renal Dietitian. "It's a tragedy that more people don't know about kidney disease and how to prevent or delay it. That's why we're offering the free Kidney/Dialysis Fair. We want to raise awareness of kidney disease and help people avoid kidney failure." The event is part of DCI's Purpose Projects, a series of community service initiatives that raise awareness of kidney disease and meet a need in the community. "We are delighted to serve the Redding community. And, we're proud that our patients wanted to help us raise awareness of kidney disease in the community through a video that we created to announce the event," said Heather Gold, MSW, DCI Social Worker. "We encourage everyone to watch the video at https://youtu.be/GH3Cz4fdFbE and join us on Friday, March 22 for the Kidney/ Dialysis Fair." 1 in 3 U.S. adults are at risk for kidney disease. According to the latest USRDS report, 94,436 Californians are living with kidney failure. 18,921 are on the waiting list for a kidney transplant. DCI operates nine dialysis centers in Northern California. 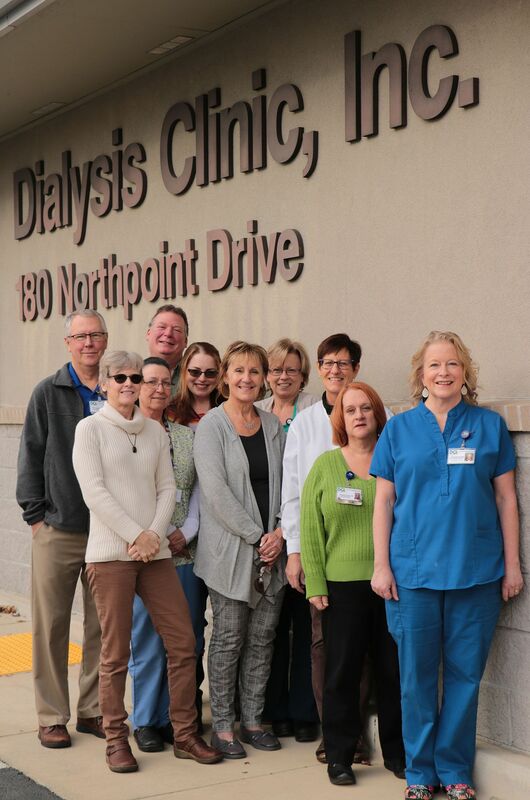 The DCI Redding unit, at 180 Northpoint Drive, offers in-center hemodialysis and peritoneal dialysis. Call 530-246-1140 for more information about the Kidney/Dialysis Fair or to contact the DCI Redding staff.